An elevated everyday pullover with a subtle hint of heritage style, the versatile Turpin Fleece Half Zip is an indispensable cool-weather essential featuring recycled, performance microfleece. 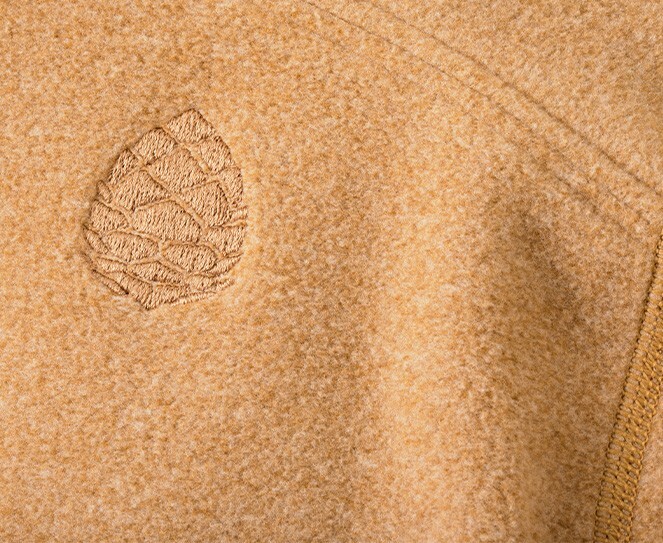 Inspired by the classic wool shirts of the western frontier but styled for the modern frontlines of everyday comfort, the Turpin Fleece Half Zip is a soft, versatile and sophisticated interpretation of our Wyoming roots. Made with Fervos™, a 100% recycled heathered mircofleece that offers the warm, natural look of wool with stretchy, breathable performance, this versatile pullover top is a wardrobe essential for any day there’s a chill in the air. An oversized stitched placket with MaxVent™ center front zip makes for easy layering and quick temperature regulation. The curved front and back yoke and shirt-style cuffs provide a classic, western-inspired finish. Center back length, 26 1/2"
Heritage-inspired style for cool-weather comfort. With it's lightweight, breathable warmth, everyday, effortless style and classic, timeless appeal, there's a reason you'll find microfleece in every mountain town closet. 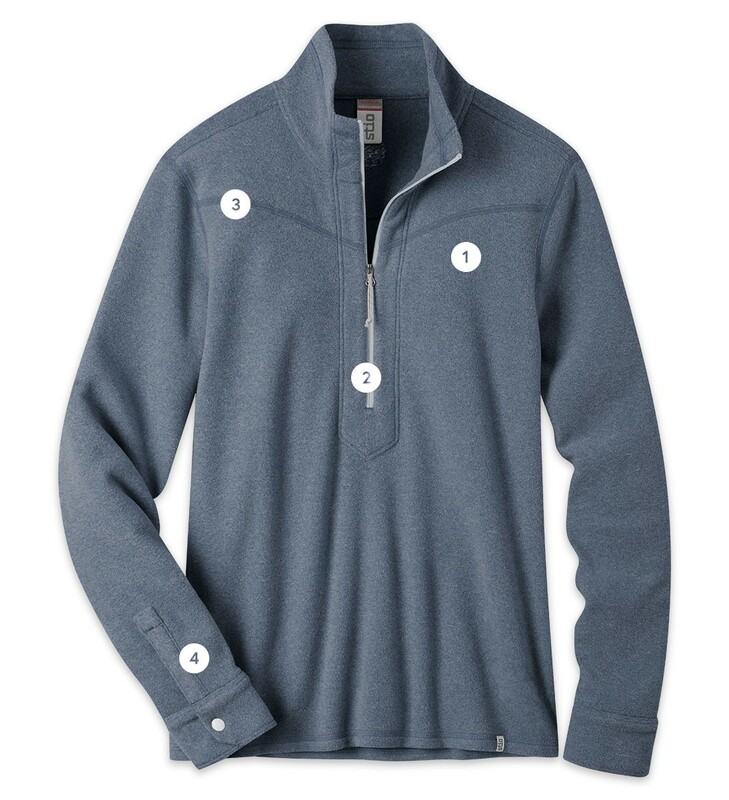 The Turpin Collection's Fervos™ microfleece fabric is constructed from innovative REPREVE® fiber. The world's leading recycled performance fiber, all REPREVE® materials are certified, traceable and 100% recycled from post-consumer plastic water bottles. This season, we return to our roots with the fabric that launched an industry, but now with a sustainable fiber to make the best even better.